Back when America's idea of cheese amounted to electric orange slices of, well, American cheese, Clark Wolf was stocking the shelves of his San Francisco shop with artisanal cheeses from around the country. These days small-scale American cheese production is something to be proud of, and Wolf continues to follow the transformed industry’s every move. 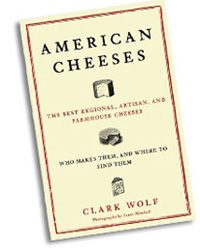 Wolf, who now owns his own consulting company, Clark Wolf Company, will stop by this week’s Beard on Books to discuss his new book, American Cheeses: The Best Regional, Artisan, and Farmhouse Cheeses, Who Makes Them, and Where to Find Them. After speaking with him about where he’s been and the cheeses he’s tried, we’re convinced that he just might be one of the most accomplished cheese tasters in the country. While promoting his book in Vermont, Wolf enjoyed Bonne Bouche, an award-winning aged goat cheese from Vermont Butter and Cheese Company, as well as Bayley Hazen Blue, a raw Ayrshire cow’s milk blue cheese produced by Jasper Hill Farm, also in the Green Mountain state. He also singled out Cato Corner Farm in Connecticut as an outstanding producer making cheeses with off-the-wall names like Womanchego, Drunk Monk, and Bloomsday. On the West Coast, Wolf gave a shout out to Andante Dairy’s Soyoung Scanlan, whom he praises as “one of the best cheesemakers in the world.” Operating out of the Russian River Valley, Scanlan makes goat and cow’s milk cheeses, as well as sheep’s milk cheeses seasonally. 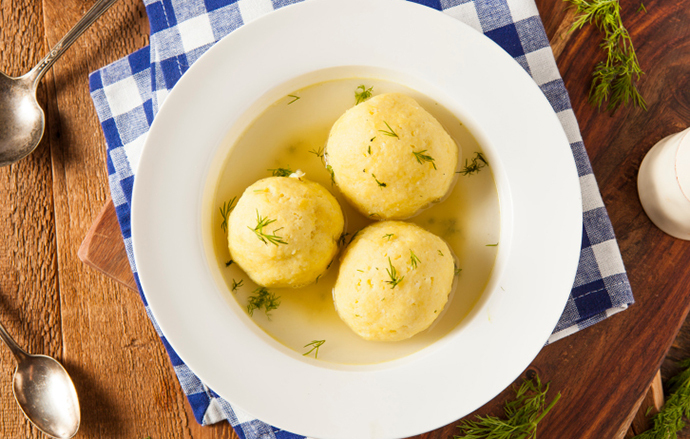 Another California standout is Cowgirl Creamery (Wolf particularly likes a nibble of their Red Hawk, a triple-cream, brine-rinsed cow’s milk cheese that won Best in Show at the 2003 American Cheese Society’s annual competition). No discussion of American cheese is complete without a mention of Wisconsin. Wolf is a fan of Uplands Cheese Company’s Pleasant Ridge Reserve (we often see this one on cheese courses at the Beard House), as well as the outstanding cheeses made by Roth Kasë, one of the most renowned cheesemakers in America’s Dairyland. The South has its share of exceptional cheesemakers, too. Wolf suggested the Bittersweet Plantation Dairy in Gonzales, Louisiana, which was named one of the ten best American dairies by Saveur, and Mozzarella Company in Dallas, because, as Wolf remarked, “You gotta have some South in your mouth.” We’re sure that Clark will have a lot more to share with us at tomorrow’s discussion. If you can’t make it, pick up a copy of his book to experience his unmatched expertise on American cheese.